Now you can keep the courage and heroism of The Dark Knight with you with this Batman Logo Black Cutout Ring! 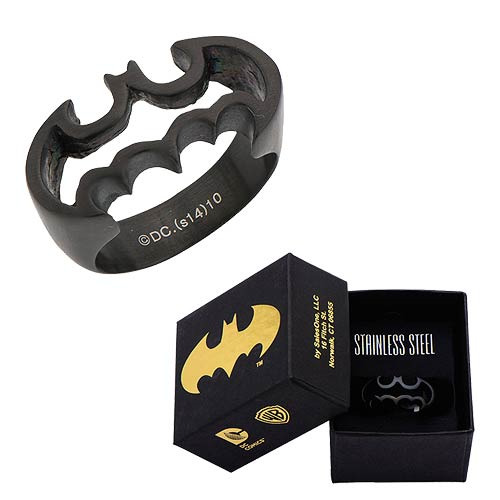 Beautifully crafted of stainless steel, this ring is perfect for any DC Comics or Batman fan! The ring comes in a presentable gift box. Size 7.